HUGE disclaimer before I begin: I have next to no experience playing Merfolk! First off, I feel like Master of Waves is the biggest draw to playing the deck. Neither 5c Humans nor Bant Spirits has access to such a bananas army-in-a can effect. I wouldn’t feel comfortable dropping to only 2, and I’d probably cut 2 of the Deprive . Second, have you tested at all with Mistcaller ? 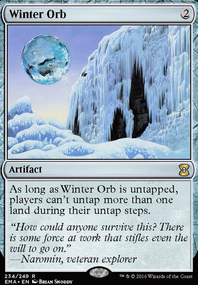 It seems like it’s reasonably well-positioned right now, as it counters Dredge, Izzet Phoenix as well as other Aether Vial decks. Finally, I’d include one or two (if not a full playset of) Cavern of Souls . They’re super important in the control matchups, and they also avoid Choke and Boil . Just a few thoughts. I don’t know if they’re worth anything; take em or leave em. No matter how you look at it is a hefty price to pay regardless of insane ramp... 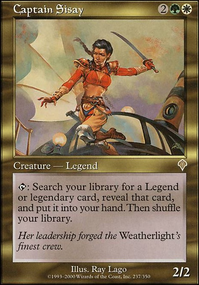 I mean it borders on being more "casual"/"Lategame battlecruiser" decks than a competitive deck like Ruric and suffers insanely hard when they just get to remove your commander. Also wouldn't play Storm Cauldron for any reason as it does nothing. 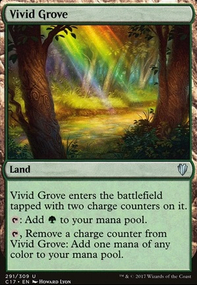 Gaea's Cradle and Carpet of Flowers would definitely 200% fit here to help you ramp. Blood Moon also adds to the landhate strat! Chandra is extremely good in a "normal" Ponza deck because she's soooooo versatile (offering Impulse Draw, Ramp, Removal, and a game-winning Ultimate), so I ported her over without much thought. And FWIW, she usually curves out nicely ... a pretty common play pattern is Turn 2 3-drop, Turn 3 Chandra (then -3 to kill a threat), Turn 4 Inferno Titan (using her +1 for mana). All that said though, I'm not sure she's the best possible use of the slot. 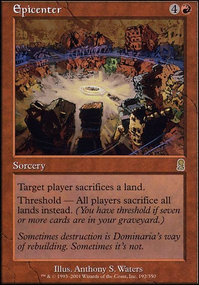 E.g., I've been quite surprised at how well Domri, Chaos Bringer is doing in testing. 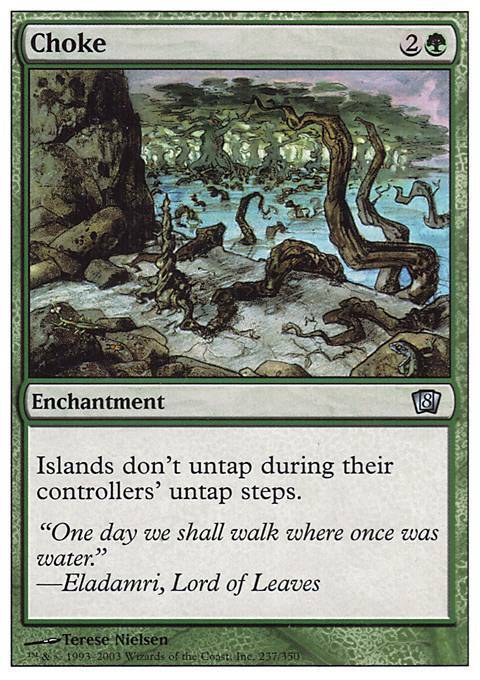 Finally, we unfortunately need a TON of Forests for Arbor Elf and Utopia Sprawl to work (especially under a Blood Moon ), so there's really only room for one "other" land in the deck. 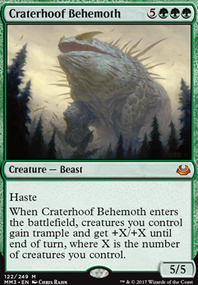 since we don't have that many 1/1 Creatures, Kessig Wolf Run probably fulfills that late-game role better.